Researchers at the University of Pennsylvania School of Medicine & School of Engineering and Applied Science have discovered a better way to deliver drugs to tumors. By using a cylindrical-shaped carrier they were able sustain delivery of the anticancer drug paclitaxel to an animal model of lung cancer ten times longer than that delivered on spherical-shaped carriers. A new study in Journal of Personality shows that selfless and social behavior is not purely a product of environment, specifically religious environment. After studying the behavior of adult twins, researchers found that, while altruistic behavior and religiousness tended to appear together, the correlation was due to both environmental and genetic factors. Virginia Commonwealth University researchers have decoded the genome of a bacteria normally present in the healthy human mouth that can cause a deadly heart infection if it enters the bloodstream. 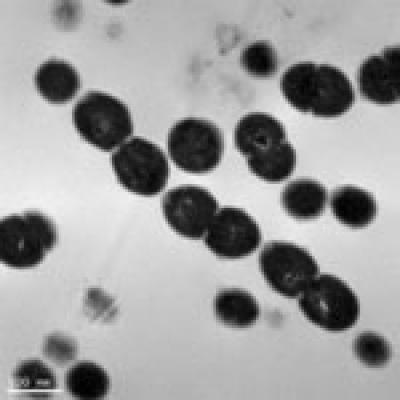 The finding enables scientists to better understand the organism, Streptococcus sanguinis, and develop new strategies for treatment and infection prevention. Transmission electron micrograph of S. sanguinis. Credit: Image courtesy of Lauren Turner/VCU. Seasonal nomadism, migration, and resettlement have always been important for the people living in the northern Polar Regions as these movements are key for their survival. In the past, such movements were usually triggered by the local conditions which their continued existence is affected by activities such as aggregation in temporary winter villages near the sea ice for seal hunting and summer dispersal inland looking for wild reindeer. There are two types of screening programs – proactive and opportunistic. Proactive screening uses population registers to invite people to be screened at regular intervals, while opportunistic screening targets people attending health services for unrelated reasons. The value of opportunistic chlamydia screening is being called into question. Dr Nicola Low, an epidemiologist at the University of Berne in Switzerland argues that claims about screening are not supported by rigorous research or practice. Livermore researchers have moved one step closer to being able to turn on and off the decay of a nuclear isomer.